Admit it: you have always dreamed of putting yourself in the shoes of a private detective, right? I guess everyone does at some point. To our point of view, you are a normal human being. For people like you, Ubiquest designed a new special type of entertainment: original scripted events, accessible and highly addictive. Watch out: this is going to renew your idea of leisure …! 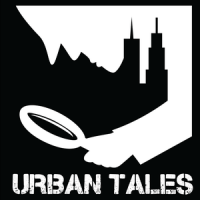 “URBAN TALES” IS OPERATING IN SAIGON & IN HANOI! Treat yourself to a very original experience and get on board the most authentic and legendary French car in history. 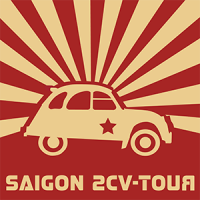 Aboard our Citroën 2CV (and its cousin La Dalat) dive into the mysterious heart of Saigon by night or by day. Saigon is a bustling and restless city in constant evolution. Energy and chaos are its main features and that’s what makes it attractive. In this legendary Citroën car, you will discover or rediscover the multi-faceted Saigon with its unsung neighborhoods, its colonial vestiges and its secret and busy streets. You will as well taste some delicious street food on the way! CITITRAILS is a new concept of interactive walking tours focusing on different thematics and areas of Ho Chi Minh City. Using a dedicated app and a provided smartphone, this original excursion invites you to explore hidden parts of the city, learn about historical and cultural anecdotes and interact with local people. Ho Chi Minh City’s main landmarks and narrowest lanes are full of secrets that you will enjoy discovering all along the activity. Cititrails invites you to push closed doors and witness Saigon real daily life. Starting from your hotel or any other suitable location, your itinerary will be guided by the dedicated app using GPS points and elements of the urban environment. You will also be challenged by series of questions, riddles or spot tasks that will test your sense of orientation, observation and deducting skills. Local people will surely help you in your quest and leave long-lasting memories. Citirails will also keep track of your final score. Break a record on one of our Cititrails to get awesome rewards! Are you looking for a fun and original activity on special occasions such as a birthday, a hen/stag party or a farewell party? Then this new activity is made for you! We drew inspiration from the popular treasure hunt concept and added cutting edge technology to create smartphone-based challenges that can be played in most cities in Vietnam. This Team-up concept offers endless possibilities of customization and thematics to suit your exact needs and your wishes. You select 4 locations and send us some key information about participants so we can customize the game (pictures, fun facts about people, special theme…) and create a unique scenario. This game is a perfect option for groups of friends who want to go on an urban adventure hunting across the city while solving clues on their phone and having a special time together.